What do we know about this loss? The Vienna Paradox repeatedly describes ongoing phobias and traumatic responses, although, because so much else of historical interest is being narrated and because the memoirist’s aim is furthest from confessional, these scenes of conscious and unconscious loss (how intentionally, after all, can one feel that one has “los[t] everything”?) are not so much understated as kept largely disconnected from the main story. Which is to say: the emigration narrative has great force without the need of detailed scenes of dislocation and deterritorialization. And yet Perloff opens her tale of the Anschluss not in Austria but at Philadelphia’s Thirtieth Street Station, and in other dim, heavy-aired contemporary train terminals. When in such spaces, to this day, she confesses to feeling “unaccountably sad.” Even in Tokyo’s clean, well-lit bullet train depot, she feels “the same familiar twinge of anxiety.” Quickly she intervenes her own analysis to note that she shares Wittgenstein’s doubts about Freud and will not go in for “psychological explanation.” “[B]ut” she goes on to describe “my train phobia” (33). The repeated unabated fear has a precise origin: the night of March 13, 1938 (34), the key moment in the family’s flight from fascist anti-Semitism. Later in the memoir we learn of her border anxiety. It comes after a passage about her intensely positive “feeling for America,” most keenly realized whenever she passes through the border at US Passport Control and Customs. She feels she is “home” then, far from “a threatening or threatened national border.” On the other hand, when traveling in Germany in the 1980s, seeing signs reading Die Grenze, she becomes again “acutely anxious” and “panicked and clutched [her] passport” (68–69). She calls these experiences — in a phrasing quasi-Freudian, a two-noun phrase that feels translated: “stress reactions.” Despite her “fear of frontiers,” in order to attend a conference (about her mother’s work as an economist), she finally returns to Austria, the scene of the crime against her family, and feels strangely ostracized, pushed into an uncharacteristic silence made worse when she describes herself to her hosts as a “refugee” after being asked why she pronounced such perfect German (70). This is very much not a slip of the mother tongue. As a student of holocaust self-representation (especially in survivor testimonies, which I have taught in a course for thirty years), I have read and heard many witness accounts of those who were children at the moment of intra-European or external deportation. Those who were already adults at the time have remembered traumatic memories — the said unsayable X of their witnessing — and when they struggle to speak or write it’s because X is so difficult to convey in words that both successfully communicate loss and convey the unspeakable agony of the sort that defies persuasive telling. But for children, now adults who do not quite remember frightening scenes of childhood, the problem is not primarily telling of an X clearly recalled; X is itself vague, so bearing witness is doubly subject to the problems of representation. Those then between the ages of five and eight typically have a few clear recollections but look back at their own misinterpretations of events and behavioral patterns at the time. They don’t forget all that they saw or overheard, but they don’t remember or don’t trust the memory of their feelings and reactions. The scenes they present now are cotemporal: now with layerings of more authoritative perspective, and then without perspective but putative authority. Faced with her own writing in extant letters (originally mailed to her father) — in which she celebrates the “huge strawberries” to be found at the family’s temporary location — she now asks, “Was I really this unaware?” (65). Why had the sudden exile seemed so pleasurable? Was denial all around her so successful? Or was there intense suffering around her then being successfully repressed by the young girl? Later, on a train, she remembers a friend of her father, thrown off the transport immediately after it was discovered he didn’t hold the right passport. She remembers this only because she can still conjure the horrified look on her father’s face (66). She overheard talk of a girl who had contracted polio, had then become paralyzed during the course of the train trip, and was carried off — and “for years [thereafter] I had an irrational fear of polio” (66). She underreacted at the time and carries forward fears that manifest themselves later. She “still cringe[s]” at the memory of the quick unexplained loss of all the books in her parents’ library, always theretofore an assumed legacy (115) — easily explained now with knowledge of the Nazi decree on limits of refugees’ suitcases. Did the parents’ protection of their children from much of the horror actually “save […] us from a great deal of fear and trauma”? Perloff argues that such safeguarding was “the right thing to do,” but concedes that she and others who shared her experience “were curiously unprepared for the future.” Becoming an exile at six years old, she was uprooted from home, from the family’s bookish culture, and then from her language. 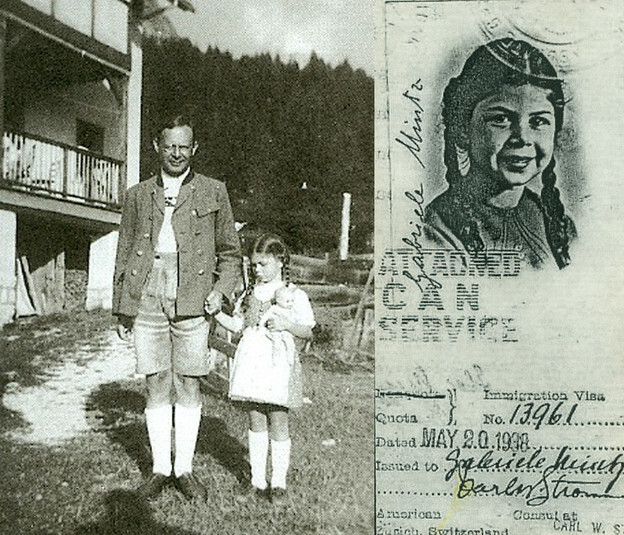 Her brother, at eight and a half then, might have been “more aware” of what their mother meant when she uttered the devastating instruction that they could “no longer be Austrians.” But our author recalls finding this incomprehensible. Throughout the memoir, she distinctly remembers not quite remembering, but that, of course, itself constitutes a crucial memory of the experience. The Vienna Paradox is not so much an effort to make such a challenge to identity comprehensible now so much as it is an exploration of why memoir as a “collage” (xv) of pieces of historical context and personal memory is the apt medium for representing this loss by a person whose professional work advocates an art accessible to us in spite of its apparent incomprehensibility — in spite of the ubiquitous “dangers of nonengagement” (xv) and of “amnesia” (7) and “the aporias of diaspora” (220). I believe that this embrace of antimemoiristic collage as a mode, first in the work of others (think O’Hara’s antinarratives such as “A Step Away from Them,” Cage’s nonintentional rewriting of Ginsberg’s supposed confession in “Howl,” and then the personal impersonality of My Life and “Albany,” and later works like Soliloquy as, for her, arising out of the modernist structure she has come to prefer) and finally in her own writing (in The Vienna Paradox), has been Marjorie Perloff’s way of preparing herself for a future for which her parents’ safeguarding did not prepare her: the “future” of the then critically marginalized and unpopular version of modernism she didn’t ask permission to study, and then mastered, and then masterfully described and advocated starting in the 1970s, after a digressive and unrewarded journey through American academia; and the “future” of the truly new, in the always energetic championing of fresh modes and untried forms, a project managed without regard to linguistic or disciplinary border. Dining at the Café Sebarsky in Manhattan, the too-perfect reproduction of a romantic café culture that never quite existed in Austria, Perloff felt it to be yet another “inevitable by-product of exile.” The experience of the pea soup “triggered a Proustian recollection” of taste and smell from the “first six and a half years of my life” (21). It’s not clear if she was there in order to stimulate the writing of her memoir or whether, indeed, the visit was one of the catalysts of the project. But one has the sense that she is reporting on location from Café Sebarsky, as John McPhee might from the middle of the Concord River or Susan Sontag from Sarajevo. In any case, it enables the book’s first evocation of the heinous appropriation of Viennese Jewish property, so much now there before her eyes in the style of the furnishings and artwork of the alluring Austro-urbanism surrounding her. Finally, however, this is not really Perloff’s aesthetic terrain, but precedes it; it is early modern Vienna, with strong hints of earlier imperial styles too, and Perloff’s tastes, when in New York especially, run more to the starker and bolder concrete, glass, and steel late-modernist-style Austrian Cultural Forum, designed by Austrian-born architect Raimund Abraham. This structure is more congenial, ironically, to the memoirist’s memory-probing motives. The encounter provokes what is for me the key passage in the entire work. Its outward friendliness to our critic-turned-autobiographer is bitterly deceptive. The Forum’s website presents writings of Ernst Jandl, John Cagean sounds, an abstract geometric design, and a calendar of avant-garde events. Perfect. Now here is an exilic Austria for the twenty-first century. But all is not well. The scene and analysis Perloff provides here, with typical associative brilliance, reminds me of the post-Holocaust novel How German Is It by Walter Abish. Architecture builds an assertive positive space atop traumatic holes in the ground dug during the preceding era. Monumentality fakes the impossibility of memorialization. Architect Abraham, just a little younger than Perloff, remembers the “iron sky” of planes raining down bombs, and just before his Forum opened quoted Adolf Loos as follows (as quoted by Perloff): “When you walk through the woods and come upon a hole two feet wide, six feet long, and six feet deep, you know that is architecture” (23–24). Abraham went on to say that his Austrian youth taught him that death is part of life. The Loosian conception of architecture is that it spatially fills, or more accurately cannot aptly fill, the body-sized grave one encounters in what was for Abraham a childhood trauma of encountering burials in the Austrian wood. “No building,” he continued, “can match the terrifying empty spaces of these original sites.” What sites does he mean? “[N]o Holocaust memorial,” he went on, “ever succeeds in the end because no monument can ever be more monumental than a concentration camp” (qtd. 24). Perloff then reports that the resurgence of fascism in Austrian politics caused Abraham, creator of the official New York cultural center of his homeland, to renounce his Austrian citizenship. This apparently great work, with its modernist allusions and postmodern gesturing, stands for the modernist memoirist in the shadow of the specter of “a dark politics that never seems to quite go away.” And then, with only the slightest transition (“Or at least I would like to see it that way,” she announces at the start of a new paragraph), we come to the central story of her name change: from “Gabriele” to “Marjorie,” to the girl who “yearned only to be as American as possible.” Nothing unusual, in itself, about this sentiment. She joins many immigrants for whom name change makes fresh identity, a turn back toward life, and a certain original forgetting enabled by a full shift in language. Yet in the same spirit as a hole and a darkness that “never seems to quite go away,” she still experiences the self-consciousness of seeing her name in print (and rather feels the absence of “Gabriele Mintz”) and is sometimes left “wonder[ing] who Marjorie Perloff is.” The Forum’s architectural masking unmasks “dishonest decades”; she had quoted the Auden poem to help interpret the building’s design. It is vain to make monuments to such a past that will do it justice. We fill the iron sky with acclaimed experimental work, moving aesthetically upward and forward. But only as a dreamt-of alternative to the death that rained down. To this day, the critic sometimes sees her own name and recognizes it as a mask. And note that she’s not looking in the mirror — this memoir bears no such cliché — but rather at “the name in print,” her byline, not quite permitting herself an unambiguous pride of authorship, even that which routinely marks her astonishing critical achievement. She wants to move forward. The Vienna Paradox evinces not an iota of self-pity, and is, as I’ve said, remarkably resistant to the psychological reading of the phobias and the traumas it freely concedes. “Margie” moved forward from the moment she could get her feet on the ground, perhaps six months after arriving in New York, and hasn’t stopped since. She has little patience not just for the dour exile byunskys — who complain how much better everything had been bei uns back home — but also for their American leftist descendants, those who “criticiz[e] all facets of US capitalism, technologism, and media culture” (136). Her case in point is Theodor Adorno. Citing Francois Furet’s research, she notes and laments in Frankfurt School exilic sociology the “paucity of reflections and research on American democracy” (137). 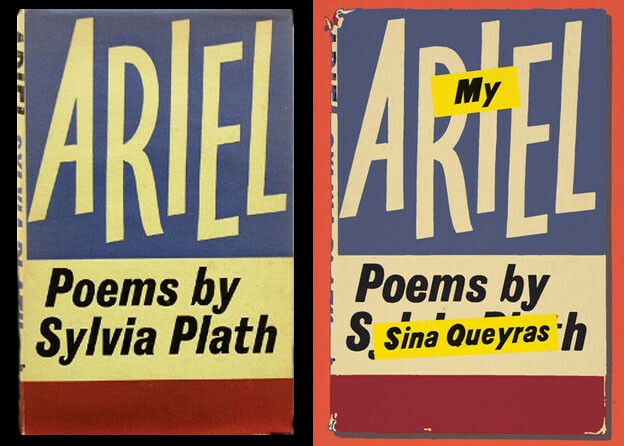 In a critique she has sometimes extended to theory-minded poetry critics who write about poetry but don’t seem to know the poems of actual contemporary American poets, she wonders why such an intelligent person could live in the US for a decade and know so little, really, about how American culture works — and would write about it anyway. The Vienna Paradox takes several pages to offer a devastating reconsideration of Adorno. Before writing her memoir, Perloff had frequently taught Minima Moralia, which was written in New York in 1944 and 1945. She admires it as an instance of literary hybridity, and for its subtle fragments expressing the “damaged life.” But for The Vienna Paradox, where all her reading, and her developing interest in American poetry, gets interpreted through the lens of traumatic dislocation and the desperate embrace of a new home, the experience of “reread[ing]” Adorno was a belated shock. Adorno, who might easily have suffered the fate of millions, just as she might have, complains instead in Minima Moralia of the way in which, in America, doors are made so as to be slammed rudely, “sliding frames to shove.” This puts him in mind of “the violent, hard-hitting, unresting jerkiness of Fascist maltreatment.” Perloff finds this analysis infuriating. The slamming of a door is not a random gesture when one is reading literarily. In her own family’s modest new home in the Bronx, just when Adorno was writing, life was constrained by room size — and indeed doors slammed. That the reading of this Americanness as fascist could ever have struck her and her students as “persuasive and appealing” seems irksome here indeed, and casts doubt at least momentarily on the literary analysis of culture. Thus one of the paradoxes meant by the memoir’s title lies in the fate of rereading. The ultimate context here was life. “[U]nlike the less fortunate (and less affluent) German Jews of his time, [Adorno], at least, was alive — alive in a nation that, whatever its deficiencies, was not a Nazi dictatorship that practiced genocide” (178). Sharp as this passage is, it seems doubtful that Perloff would have included Adorno in her book if her main problem was his sensitivity to Americans’ tolerance of “unresting jerkiness.” There’s much more at stake for her in the cultural citizenship of the radically displaced. Adorno’s general understanding of cultural life in exile Perloff deems terribly mistaken. “Every intellectual in emigration,” Adorno wrote, “is, without exception, mutilated, and does well to acknowledge it to himself.” And further: “He lives in an environment that must remain incomprehensible to him” (qtd. 177). It’s clear that Perloff sought for herself to read right past such alienation and mutilation — to make the exile’s adopted culture not just basically comprehensible, for indeed she would seek out exactly what others consider the least comprehensible products of American culture and claim that even these are never beyond comprehension. I have observed here that the convergence of her critique of the critique of American crass commercialism and her sensitivity to matters of emigration and fascism — a difficult combination because in the US it confuses typical lefts and rights — finally comes together in the memoir of 2004 and subtly shapes Unoriginal Genius of 2010. But the convergence was no catharsis. It is latent in works as early as her book on O’Hara and finds overt expression in her essay on Wallace Stevens during wartime. But let us find it, too, in her reconsideration of Robert Lowell in 2004, a review-essay written in response to the publication of Lowell’s Collected Poems in 2003, and coincides with the writing of her memoir. She begins the review with a personal recollection. Life Studies shook the poetry world with its smart frankness, and Perloff confesses to a strong memory of the moment she herself felt the shock. 1959 was the year my second daughter was born and I was having a hard time of it. Two children under the age of three, very little help, a physician husband who was rarely home, endless Gerber meals to serve, piles of baby clothes to take down to the building’s laundry room, and — perhaps worst of all — the conversations with Other Mothers in the playground that revolved around things like the parsley sale at the Giant supermarket. Such questions, naïve as they may sound, raise important issues. “The ditch is nearer” is one of those lines that sounds profound, but what does it really mean? Was the ditch really nearer for the millions freed from the Nazis at the end of World War II? Or was their future just beginning? Again, the declaration that “There are no statues for the last war here” is questionable. The monuments for the last war, most people would now say, are the concentration camps themselves — Dachau and Buchenwald, Auschwitz and Belsen. Or the Holocaust museums around the world like Daniel Libeskind’s new Jewish Museum in Berlin. Or the Holocaust narratives like Primo Levi’s The Drowned and the Saved and Marcel Ophuls’s great film The Sorrow and the Pity. It turns out, moreover, that there were many “heroes” of World War II at least as notable as Colonel Shaw: for example, Samuel Beckett, who could have easily sat out the war in his native neutral Ireland but instead risked his life every day, fighting in the French Resistance. And so Lowell’s is not really a political poem at all. Perloff goes so far as to say that its mindless complaint against “the very notion of industrial and technological progress” indicates that what passes for “public truth” here is “its author’s private phantasmagoria.” That “unforgivable landscape” in the poem is not Boston’s; it is that of Lowell’s facile American imagination. When one loses everything except one’s accent, the remnant language constitutes a resilient yet precious selfhood. The memoirist in The Vienna Paradox is wary of public truths. It may be that her train phobias, her border traumas, her later sense of repressed horror disguised by huge strawberries, her irrational fear of paralysis, her horror over the territorial solution applied to the idea of the personal library, her relentless assault on incomprehensibility, all form an elaborate “private phantasmagoria” passing as criticism, and so the memoir is perhaps surprisingly unpretentiousness in its general claims, especially given the pugnacity of its author and willingness otherwise to engage in polemic. There’s a beautifully earned modesty here. But immodest and strident is its thinking about the “culturally pluralistic, yet divided, and markedly monolingual society” commended by those who forget or at least are not haunted by the European holocaust, and this attitude makes possible the brilliant boldness of “Language in Migration” in Unoriginal Genius. There she admires Bergvall’s Say: ‘Parsley,’ for instance, which takes a limited array of words in English and uses them primarily to understand their potential for translation and a fresh reckoning of politico-linguistic genocide. Exophonic writing is essentially about translation, but crucially it never leaves behind the first language in the re-languaging of the second. Perloff aptly notes that for Bergvall the term “shibboleth” is fundamental. The critic runs through its definitions and, in a striking bid for originary credence, actually presents the term on her page in the Hebrew alphabet; a psychoaesthetic triangulation is being made. The important connotation of shibboleth, as noted earlier, is this: “a word or sound which a person is unable to pronounce correctly; a word used as a test for detecting foreigners, or persons from another district, by their pronunciation.” Perloff praises Bergvall’s commentary on shibboleth, in which the young poet grappled with the genocide of Creole Haitians under Trujillo in 1937. (1937: that epochal year.) The massacred were first identified by their failing to roll the ‘r’ in the Spanish word for parsley. When Marjorie Perloff writes so gloriously about these poets and their multi-linguistic political concerns — Bergvall, Yoko Towada, and others — readers of The Vienna Paradox will recognize the critic herself as an exophonic writer. “In a world of relentless global communication, poetry has begun to concern itself with the processing and absorption of the ‘foreign’ itself.” In such an approach to this latest iteration of modernity, we must ask “what happens when there is no more commanding voice to assess those fragments” — those fragments begotten by the crossing of borders and resulting from life in detention camps. But in this brilliant passage — essentially an antifascist reading of the postmodern poem — the longed-for commanding voice, now speaking, might herself be just the one to provide such an inflection. 1. Marjorie Perloff, Unoriginal Genius: Poetry by Other Means in the New Century (Chicago: University of Chicago Press, 2010). 2. Perloff, The Vienna Paradox: A Memoir (New York: New Directions, 2004). 3. Perloff, “The Return of Robert Lowell,” Parnassus 27, nos. 1 and 2 (Winter 2004): 76–102.